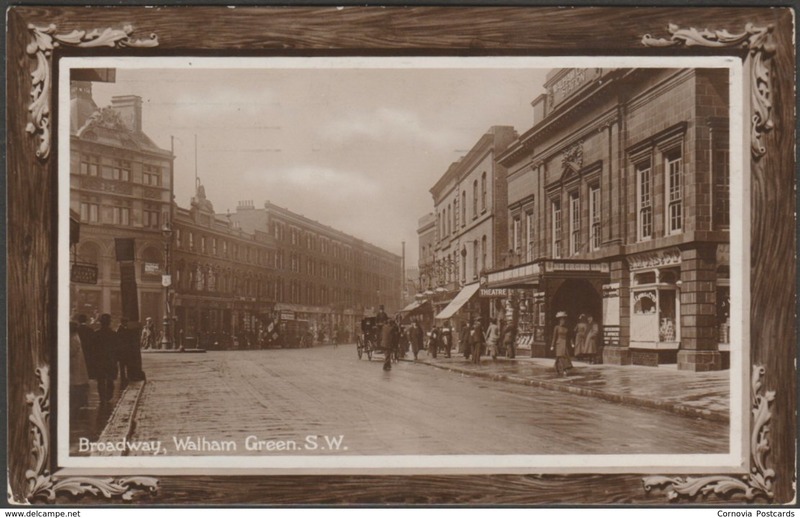 Sepia real photographic postcard with fancy border showing a lively view of the Broadway at Walham Green in SW London and showing the Walham Green underground station to the right. Published by Temperton's Stationery Stores, Fulham, not numbered. 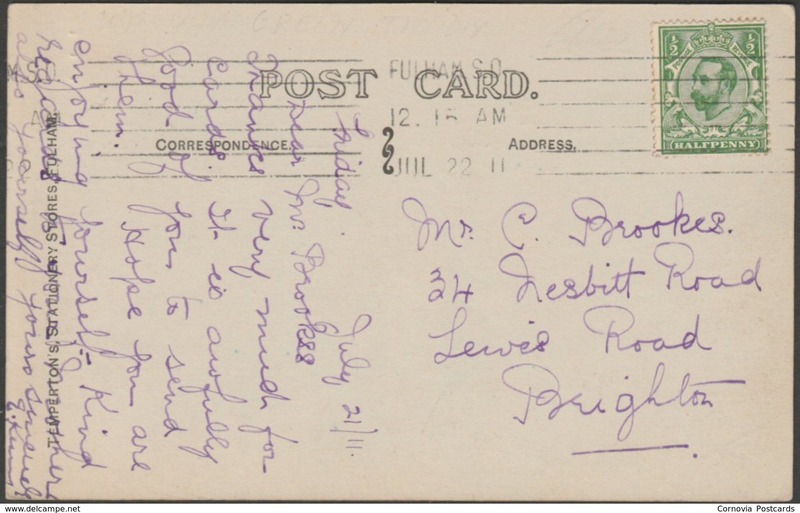 Postally used on 22 July 1911 with Fulham S.O. machine cancellation on green halfpenny stamp and sent to Mr C Brookes, 34 Nesbitt Road, Lewes Road, Brighton. Good condition, with slight corner bumps.